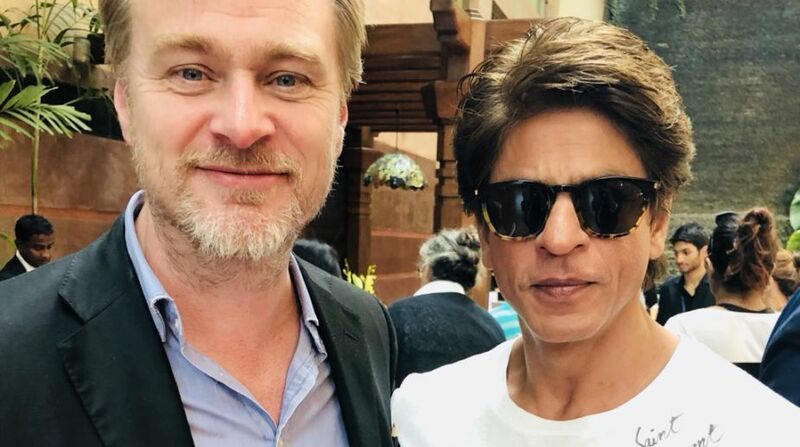 Bollywood’s superstar Shah Rukh Khan also had a fanboy moment with the Dunkirk director Christopher Nolan. On Saturday, the actor took to Twitter and expressed his happiness after meeting Nolan. “My fanboy moment. Inspiring to hear Nolan and Tacita Dean talk of the virtues of celluloid as an artist’s medium,” SRK wrote. Indian filmmaker Shivendra Singh Dungarpur, the founder of the Film Heritage Foundation (FHF), is hosting Nolan at a three-day event ‘Reframing the Future of Film’ here from March 30 to April 1. Celebrated visual artist Tacita Dean will also be part of it. Shah Rukh also thanked Dungarpur for making him a part of this initiative. Christopher Nolan is regarded as one of the most influential filmmakers of the 21st century courtesy titles like Batman Begins, The Dark Knight, The Dark Knight Rises, Inception, Interstellar, and Dunkirk. Work and love for cinema have brought him to the country. Nolan is in India to draw attention to the importance of celluloid in the digital age. According to a source in, Nolan’s schedule is pretty packed and he will not get time for leisure activity during his trip.